All India Pre-Medical/ Pre-Dental Entrance Test-2014are held in English or in Hindi. Candidates can opt for question paper either in English or in Hindi. However, previously, the National Eligibility and Entrance Test (NEET) -2013 for undergraduate medical courses was conducted by Central Board of Secondary Education (CBSE) in six regional languages, viz. Gujarati, Bengali, Tamil, Marathi, Telugu and Assamese in addition to Hindi and English languages. The Hon’ble Supreme Court vide its judgment dated 18.07.2013 in NEET related cases quashed the implementation of NEET. The Central Government has filed a petition before the court to review its decision. As such the matter is sub-judice. 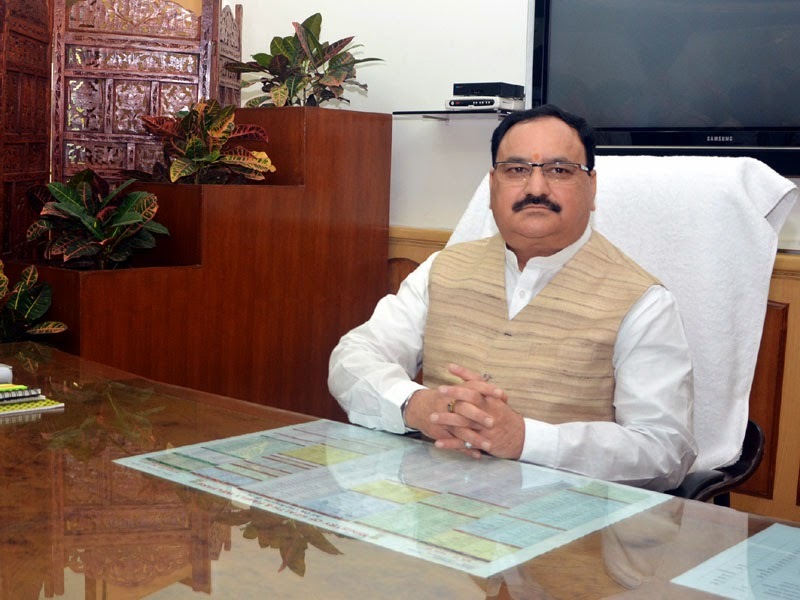 The Health Minister, Shri J P Nadda stated this in a written reply in the LokSabha here today. The Government is aware of the problems being faced by Indian students pursuing medical education in Ukraine on account of Crimea becoming part of Russia and the security situation in Eastern Ukraine. As informed by MCI, students who are about to graduate from Crimea are entitled to appear in the screening test, as in case of any other student graduating from a foreign medical institution. With respect to continuation of their studies in alternate institutions, no decision has yet been taken. Two National Centres of Ageing are proposed to be set-up during the remaining period of 12th Five Year Plan, within the existing All India Institute of Medical Sciences (AIIMS), New Delhi and Madras Medical College Chennai. A proposal has been made for setting up of Indian Institute of Advanced Nursing (IIAN) at Tambaram, Tamil Nadu under the Centrally Sponsored Scheme of Upgradation/Strengthening of Nursing Services. Indian Council of Medical Research (ICMR) has funded development of one advanced center in Department of Mycology, PGIMER, Chandigarh with a total fund of Rs. 1.78 crores from 2006 -2011. ICMR also funded development of National Culture collection of Pathogenic fungi at PGIMER with total funding of Rs. 2.11 crores from 2009-2014. This facility is a national repository for the deposition, maintenance, identification and supply of all pathogenic fungi. The Government is aware of the reports appearing in the media regarding manufacturing of generic versions of some drugs without proper testing. The Indian Council of Medical Research has taken up the matter with the Drug Controller General of India (DCGI) for action against such erring companies. Action as permissible under the Drugs & Cosmetics Act, 1940 and the rules made there under will be taken by Drugs Controller General (India) after verification of facts. The manufacture for sale of drugs is regulated through a system of inspection and licensing under the provisions of Drugs and Cosmetics Act, 1940 and Rules made thereunder. The manufacturer is required to comply with the conditions of license and follow the Good Manufacturing Practices (GMP) to ensure that the drugs manufactured by them are of standard quality. One of the conditions of the license is that the licensee shall either in his own laboratory, or in any other laboratory approved by the licensing authority, test each batch of the raw material used by him for manufacturing products as also each batch of the final product and shall maintain records showing the particulars of such tests. ‘Health’ is a state subject and it is primarily the responsibility of the State Governments to issue any directive in this regard. However, this Ministry has circulated guidelines for referral of patients in emergency vide this Ministry’s letter C.18018/12/2-14-H dated 31.7.2014 to all states/UTs and various central government hospitals. This Act is applicable in Arunachal Pradesh, Himachal Pradesh, Mizoram Sikkim, Uttar Pradesh, Rajasthan, Bihar, Jharkhand, Uttarakhand and all Union Territories (except Delhi). The Medical Council of India (MCI) has informed that it has always supported the Government proposal for providing primary medical treatment to Road accidents victims and women in labour without delay. The proposal seeking grants under Quality Control Scheme of ASU&H drugs have been received from six States i.e. Odisha, Kerala, Meghalaya, Punjab, Telengana and Madhya Pradesh. The grants will be released after approval of Project Sanctioning Committee.